ADDIS ABABA, Ethiopia, July 31, 2014/African Press Organization (APO)/ -- The Chairperson of the Commission of the African Union (AU), Dr. Nkosazana Dlamini-Zuma, is following, with dismay and concern, the evolution of the situation in Libya, which is marked by the escalation of the armed confrontation between armed groups and militias, particularly in Benghazi and Tripoli. She strongly condemns these acts of violence, which have claimed many lives and led to the senseless and massive destruction of property and infrastructure. The Chairperson of the Commission stresses that the current situation, if it is not quickly contained and resolved, has the potential of irreparably undermining the cohesion of the Libyan society and the very existence of the Libyan State, with far-reaching consequences for regional security and stability. In this context, she reiterates the AU's urgent appeal to the Libyan stakeholders to put an immediate end to the current spiral of violence and to work towards the fulfillment of the aspirations of the Libyan people to democracy, the rule of law and to socio-economic wellbeing, as expressed during the popular uprising of February 2011. She reiterates the AU's full support to the efforts of the interim Government of Libya and to all other goodwill initiatives aimed at achieving a lasting cessation of hostilities between the warring parties and at facilitating the initiation, in good faith and with the required spirit of mutual tolerance, of an inclusive dialogue to re-launch and complete the transition in Libya. 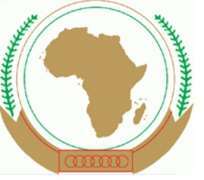 She welcomes the announcement, on 21 July 2014, of the final results of the parliamentary elections that took place on 25 June 2014, and renews AU's support to the ongoing constitutional drafting process, as positive aspects of the transition. The Chairperson of the Commission commends the countries of the region for their continued commitment and determination to help Libya in overcoming the serious challenges facing it. She notes, with satisfaction, the final Declaration of the ministerial meeting of the neighboring countries of Libya, held in Hammamet, Tunisia, from 13 to 14 July 2014, as a follow-up to the consultative meeting of the neighbors of Libya, held in Algiers, on the margin of the 17th ministerial meeting of the Non-Aligned countries, on 27 and 28 May 2014, and the consultations organized during the AU Malabo Summit, at the end of June 2014. She looks forward to the outcome of the meeting of senior officials of the Political Working Group established in Hammamet and coordinated by Egypt, which is scheduled to take place in Cairo, on 6 August 2014, with AU's participation. She further looks forward to the experts-level meeting of the Security Working Group, also established in Hammamet and coordinated by Algeria. The Chairperson of the Commission urges Africa's international partners, including the United Nations, to fully support the efforts of the region, which shoulders the burden of the crisis in Libya and whose deep knowledge of the situation puts it in a position to effectively assist in the emergence of a consensual solution. The Chairperson of the Commission renews the AU's commitment to continue to work closely with the region and in coordination with the other concerned international actors, with a view to helping Libya, in the spirit of African solidarity, to overcome the current difficulties. In this regard, she welcomes the consultations undertaken by her Special Envoy for Libya, Mr. Dileita Mohamed Dileita, during the visits he made to Libya, as well as to neighboring countries (Tunisia, Egypt, Algeria and Niger), from 10 to 26 July 2014, as a follow-up to the press statement issued by the Peace and Security Council (PSC) on 23 May 2014. The Special Envoy is planning to visit Chad and Sudan, as early as possible, in order to consult with the relevant officials of these two countries. On the basis of these consultations, the Chairperson of the Commission will submit to the PSC a comprehensive report on the situation, including concrete recommendations on the best ways and means of an enhanced AU support to the stabilization process in Libya and to the early completion of the ongoing transition.